Looking for Original Arts and Crafts Ideas for Kids and Adults with Lychee Seeds? Discover 5 Creative Ways to Reuse these Nature’s Treasures. One of the many things that bring me joy is to find new ways to use ordinary objects. Doing arts and crafts also brings me joy and helps me be in the here and now. I was so excited that I wanted to share with you 5 of the arts and crafts ideas for kids and adults with lychee seeds that I found. Have a look below and let me know in the comment area: Are you surprised? Do you feel inspired to try some of these yourself or with your kids? If you send me photos of your creations, I shall happily add them to this post. This is the simplest idea of all… you only need 3 items for this one: at least one lychee seed, something to cut the seed, and at least one steel pin. You also need to cut the lychee seeds for this one. No need to cut the lychee seeds for this one. No cutting seeds either for this one. I found this one to be the most surprising and complex of the 5. So? Do you feel inspired to try some of these yourself or with your kids? Let me know in the comments below. And if you send me photos of your creations, I shall happily add them to this post. What a brilliant idea! I love fruits and I love lychee. They say great minds think alike and I must say that I have often thought of what to do with seeds on a whole from any fruit I eat. Yes, the obvious is to plant it and yes, you scored…the second is to make a handy craft idea from it. I enjoyed all the videos and they certainly got me thinking – and not only about lychee seeds. I will try the bracelet idea with my 11-year old daughter and will come back and let you know. A question for you – do the seeds lose their hue after a while…or is would you recommend adding a light varnish? I have bookmarked your page. I love creativity and this list of videos are absolutely fantastic! What can we do if Lychees are not in the season? Are there other alternatives? Hi Nathalie. You never seem to surprise me with your articles. Lychee is a very common fruit in my region and we throw away the seeds after eating the superb juicy fruit. Never in my wildest dreams I could ever imagine so many crafts can be created from the very humble seed. Thanks a lot for the ideas. What a great crafts article for kids, that you’ve posted at just the right time of year! Once all the Christmas presents are open and days of picking up wrapping paper and battery boxes are over…you’re still stuck with entertaining the kids! This type of thing is great, allowing adults and kids to sit down together and create something artistic – thank you so much for sharing. I’m glad you enjoyed this article. Hey Nathalie! How are you doing? I’ve really enjoyed going through this article as its fun and interesting. The explanation in the videos are quite easy but I’m curious in making a spinner. I have a question though. Can I use a toothpick to make it instead of the material discussed in the video? Thanks in advance for answering my question Keep up the good work! Can you use a toothpick instead of a metal pin to make a spinner? That’s a good question!! The shape is the same but I guess a toothpick is lighter, so I’m not sure. I have not tried this myself but I shall give it a try the next time I eat lychees. Thank you for your kind words of encouragement! They are very much appreciated! Before I read your article on what to do with Lychee seeds, I had to look up what they were as it is not a common name to me. Now I know! I am not a crafty person myself but I really loved the flower and it looked quite easy to make. The grapevine is beautiful. I see you live in Western Europe. I wonder if these seeds are available in Canada or Mexico? Thanks for a very interesting article and some wonderful new craft ideas. Thanks a lot for leaving your comment here. I’m not sure if lychees are available in Mexico but I’m pretty sure they are available in Canada. It’s a fruit you should find easily during the cold period, like now, imported that is… I don’t think they can grow in cold regions, but maybe I’m wrong…. Where are you? In Canada or Mexico? Or do you travel between both? After going through these videos, “is there anything we can call rubbish on this earth?” Definitely no, it only that you will be not knowing how to use it for the benefit of the community. 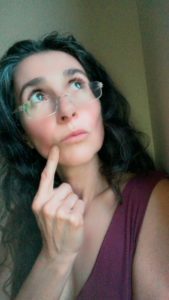 Surely, I feel inspired reading your article Nathalieu, I always follow your articles because they are so inspirational. Of all the crafts ideas, I loved to ideas. Thank you very much for taking the time to leave your comment here, Ngonidzashe. And thank you so much for your kind words. They mean a lot to me. Yes! I totally agree with you! Nothing can be called rubbish on this earth, it’s only that we don’t know yet how to use it for the benefit of the community… this reminds me of the Blue Economy by Gunther Pauli. Have you heard of it? Hi Nathalie, amazing things one can make from lychee seeds. I really love the idea of making them into beautiful wall hangings with your help from this video tutorial we’ll decorate our walls with this this Christmas period. I believe it’s gonna be fun making these things. Yes, amazing things one can make from lychee seeeds, right!? I love Lychee’s, the sweet yummy taste, so I can imagine this is a great idea, because then you’d have unlimited lychee’s and that would be so good!! I will defo be reusing the seeds to plant a lychee tree. the arts and crafts idea is a good idea for anyone with kids, how fun for them! Wow! 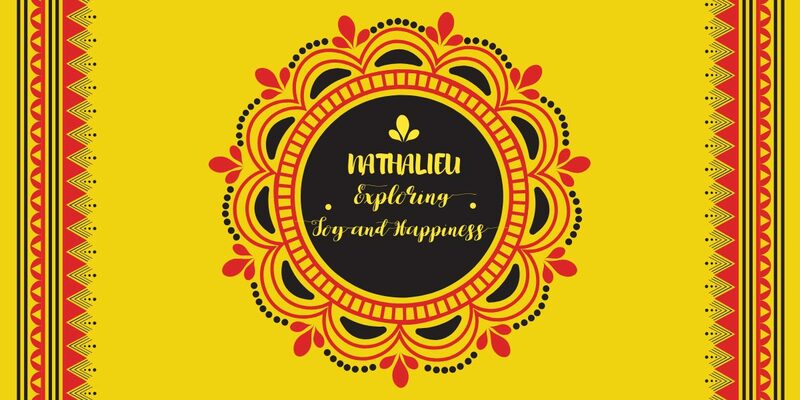 Dear Nathalieu, I am enjoying your post. It looks you are describing my childhood activity. I have always used those seeds for spinners and some time for counting games in my childhood. But other’s idea like wall hanging, beautiful bracelet and beautiful flower hanging are still unknown to me. I am going to watching video for other’s activity. I think I can make some fun for my children through these arts and crafts ideas. Thanks for sharing this awesome information. Thank you so much for your kind words, dear Mzakapon. Wow!! This is amazing indeed! You have personally used these seeds for spinners in your childhood?! Wow! That’s great! Is this something common where you were growing up? What country was that? Have a great time with your kids. 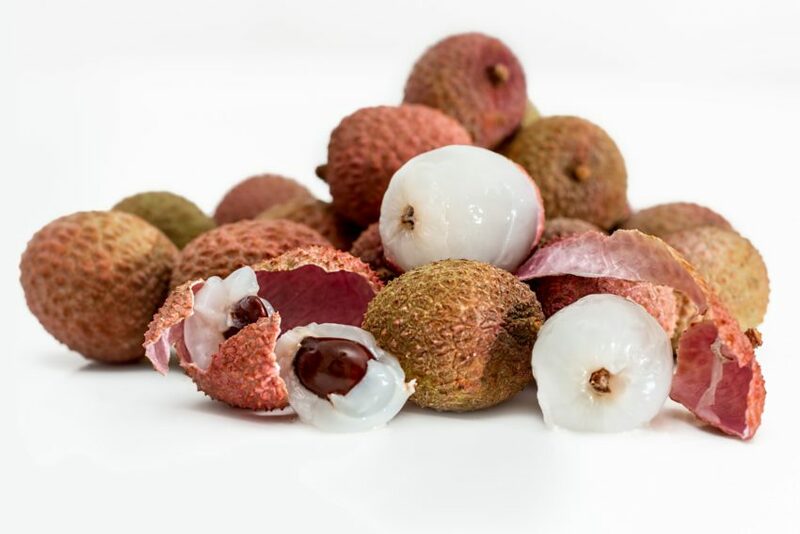 You got me curious about the Lychee, itself, and I found this: “Lychee is the sole member of the genus Litchi in the soapberry family, Sapindaceae. It is a tropical tree native to the Guangdong and Fujian provinces of China, where cultivation is documented from 1059 AD.” I like the videos you included on your page, showing what arts and crafts can be done with the seeds. I’ll have to share them with my artsy craftsy friends. Thanks for the post. You also make me wonder if I had consumed the lychee seed at a Chinese restaurant, one time or another; I’m guessing that it would have been been at a higher-end restaurant. Thanks a lot for taking the time to leave your comment. It’s great that you did some extra research about the lychee fruit. I don’t know where you live but here in Western Europe, lychees have become very common for many years already. You can find them in pretty much any supermarket during the cold season. And they are relatively cheap. Organic ones are a little more expensive but still very affordable. Why don’t you ask if they have anything with lychees when you go to a Chinese restaurant next? Lychee sorbet is delicious. 🙂 You can also find canned lychees in some supermarkets. Let me know when you do try a lychee, okay? I’m curious to hear about your experience. Lychee seeds really are very pretty seeds. I had no idea. It’s no wonder there are so many crafts ideas for them. I am inspired by the grapevine project. I will do something a little different than that and will use a different feature than the birds to adorn my creation. We do the grapevine theme here at the house and this decoration, while not really built to last will make a nice seasonal decoration that doesn’t look like something that is mass produced. Have you built any of these projects yourself yet? Thank you for the enlightening and inspiring videos! I love arts and crafts, but I am not creative enough to do them without ideas from people like you and from videos like these. Thank you so much for taking the time to leave your comment. you put really nice ideas! I love crafting and I watch DIY clips all the time. Of course, I don’t make everything I watch 🙂 but I enjoy just watching others make it. I’ll craft this spinner, it’s cute and great for a gift actually! My friends also love to do that, so I think that I could make this and bracelets, and to suprise them in a few days when we meet. Thank you so much for taking the time to leave your comment. That is much appreciated. Thank you also for your words of appreciation. I can totally relate to what you are saying about enjoying just watching others making arts and crafts and DIY projects. I feel the same. There is something mesmerising about it, I find. Please do send me some photos of your creations with lychee seeds when you are done and I shall add one or two to this post. Hello Nathalie, great ideas on how to turn lychee seeds into a art craft. I definitely love the idea of turning them into spinners, that is very creative. I will definitely have to try that out someday. I would also love to create a lychee seed necklace for my grandmother too. She would love it. Thanks again, and continue to do what you do. I am sure your grandmother is going to like the lychee necklace you want to make for her. Grandmothers usually really like anything from their grandchildren, right? 🙂 It gives them Joy!! Please do send me some photos of your creations with lychee seeds when you are done and I shall add one or two to this post. I would absolutely LOVE a photo of you and your grandmother wearing your necklace!! That would make my day! I just love those crafts! I had no idea you can do so many things out of lychee seeds. I liked especially the bracelets. They’re super easy to make even when you’re not very skilled. Plus that the design from the video looks really good. Please do send me some photos of your creations with lychee seeds when you are done and I shall add one or two to this post. I would absolutely LOVE a photo of you and your group of girls wearing the bracelets you want to make with them! !